We have firmly positioned ourselves as one of the overriding commercial Nonylphenol Ethoxylate suppliers, based in India. These nonylphenol ethoxylates are manufactured in definite chemical composition and comprise the elements that assist them in high performance. Nonylphenol ethoxylated is environment friendly and a non-hazardous chemical. This nonylphenol ethoxylated is prepared following international standards in a well-equipped laboratory. An ideal material to produce surfactants. other surfactant intermediate for sulphation. emulsifier. High performance detergent in textiles. N.P. :15 Nonyl Phenol Ethoxylate (15 moles) Emulsifiers for wide range of solvent. O.P. 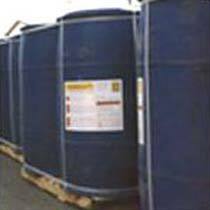 :10 Octyl phenol ethoxylate (10 mole ) Water soluable general purpose detergents & emulsifiers.